When you think of an island getaway, you might picture resorts lined up along the shoreline with crowds of tourists fighting for their own small sandy patch of paradise, but island getaways don’t have to be a shared experience…In fact, there are over 12,000 private islands in the world. That means there are plenty of options for your very own private vacation. And…if you are so inclined, you can even buy your own island for the right price! Check out these 10 Islands you can rent or buy for your own beach side accommodations inspired by AWE’s Private Islands. Located in the Atlantic Ocean are the islands of the Bahamas. There are 700 islands and each varies in its development. The Atlantis Resort is what many think of when they hear the Bahamas but not every island is crawling with tourists. The island of Little Whale Cay is a private island found in the Berry Islands about 140 miles southeast of Fort Lauderdale. Take a quick plane ride from Florida or Nassau into the private airstrip and you will find yourself in a secluded, magical island in the middle of the Bahamas. 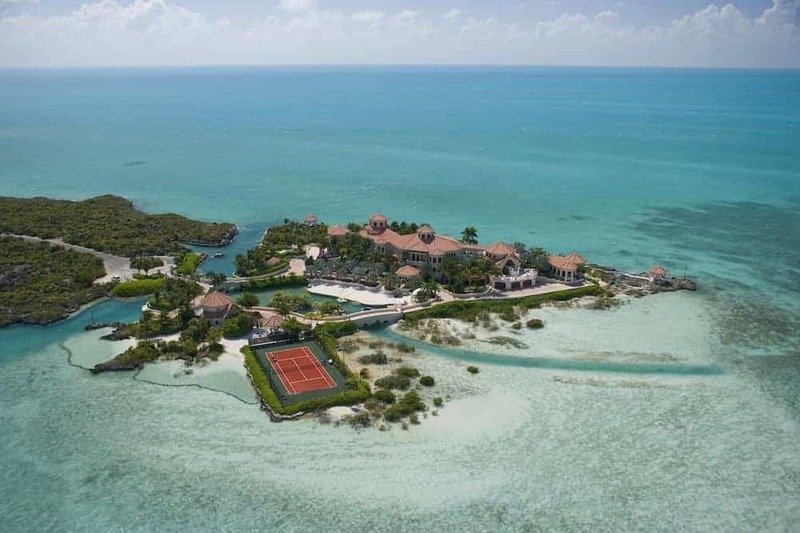 This private island has amenities fit for royalty including a fully staffed resort that includes a personal chef and masseuse. Frolic across 93 acres of sandy shores with 12 of your favorite people with accommodations in the 3 houses that look out onto the Caribbean. 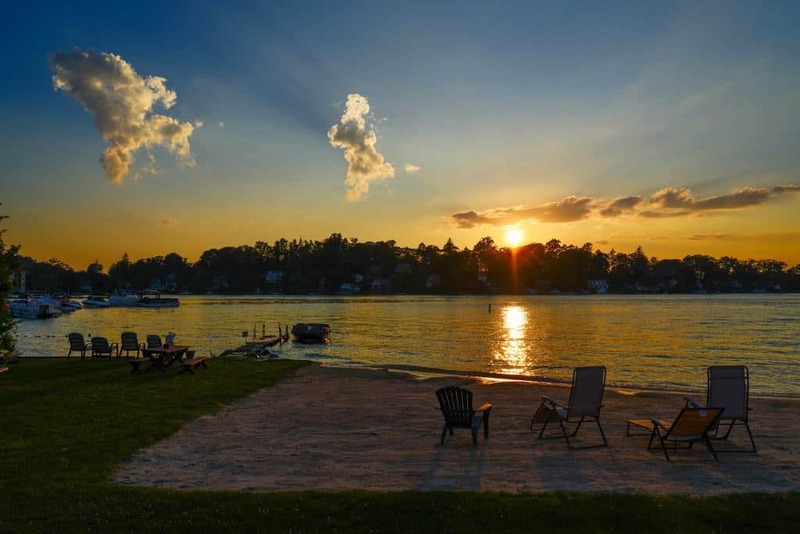 Enjoy the many recreational water activities, take a trip to neighboring islands or just immerse yourself in the beauty of your own private island. 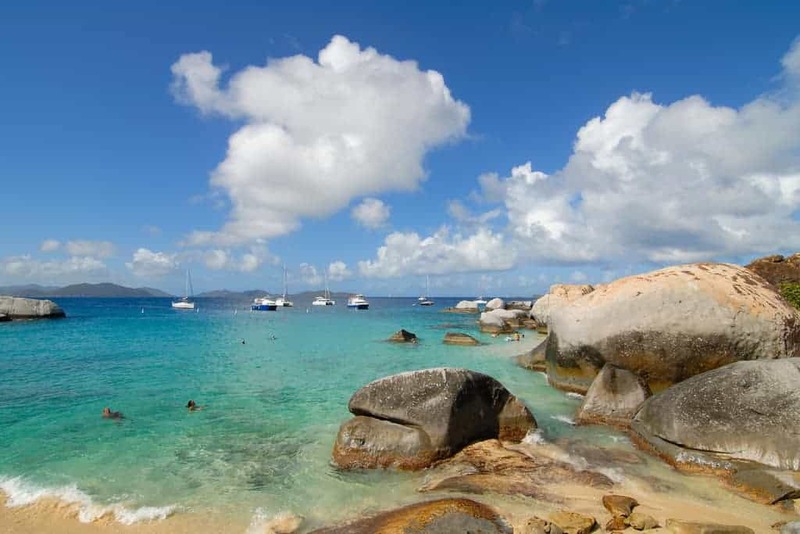 The British Virgin Islands have 60 islands and about 25% of those are uninhabited. Of the many islands available for vacationing, the private Peter Island has an intriguing history of pirates in addition to its incredible beauty. The infamous resort on Peter Island is ranked as “Gold List” on the Conde Nast Traveler’s List and twice named one of “The Best Places to Stay in the World”. 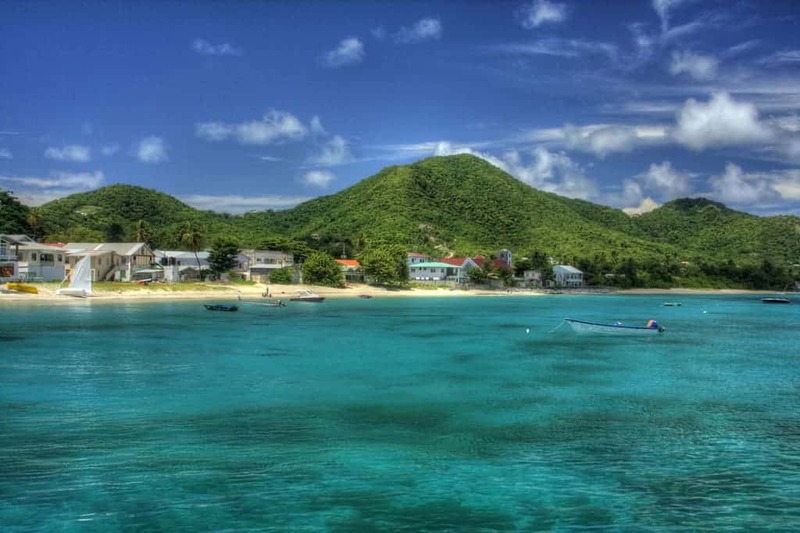 There are five beaches and the largest is called Deadman’s Bay. It is believed to be called this because of a group of pirates shipwrecked on a neighboring island drown as they tried to swim to Peter Island. 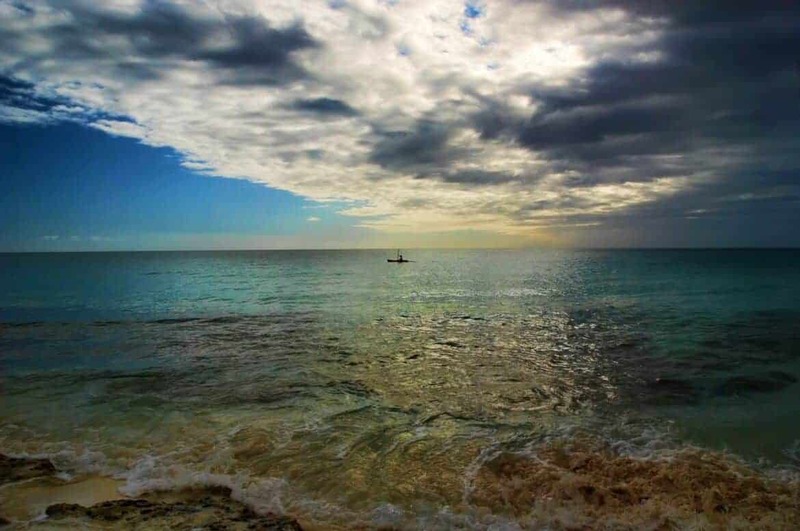 They washed on shore on what is now called Deadman’s Bay giving the white sand beach its ominous name. The unique history includes visitors such as Blackbeard, Christopher Columbus, and Sir Francis Drake. Visitors can explore the island sunbathing on the beaches or hiking Sage Mountain. Peter Island Resort has everything you’d expect from a “Gold Listed” resort. Some of the amenities include a pool, tennis courts, and a spa that offers Ayurvedic treatments. 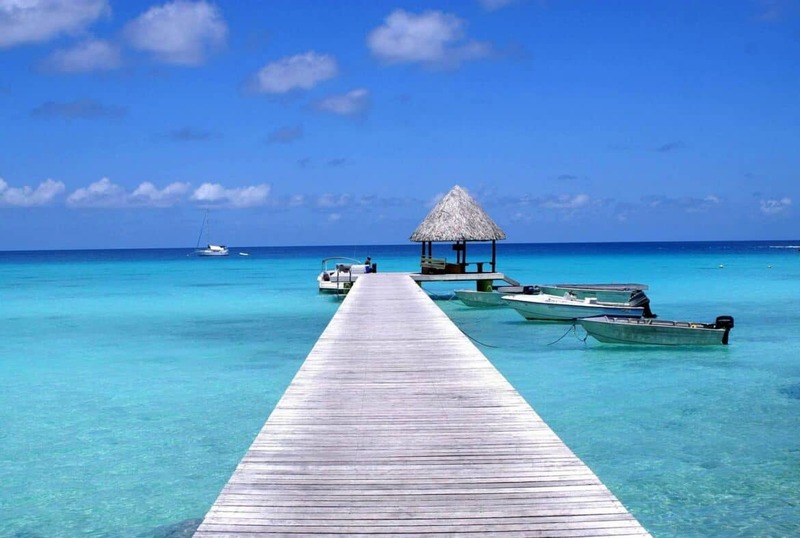 In the South Pacific Ocean the islands of French Polynesia are spread over 1,200 miles. There are 118 islands and atolls (a ring shaped coral reef) of which 67 are uninhabited. The stunning blue waters and powder white beaches are heavenly, and you can purchase a little slice of heaven for the right price. 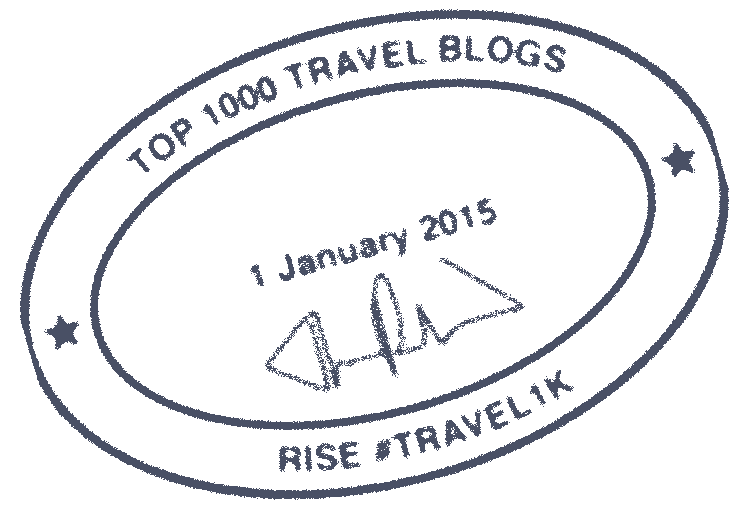 The island of Taiaro is an atoll that is now available for purchase. The price might send you into sticker shock, but one glimpse at the island may make your forget about all of those zeros. The interesting circle shape that is characteristic of atolls gives Taiaro a unique look with a lagoon in the middle. Its diameter is about 3 miles and at its widest point it is almost a mile from the shoreline to the lagoon. Covered in a variety of vegetation, this island was declared a protected UNESCO site in the 1970s. The completely enclosed lagoon has drawn interest in respect to the ecosystems within it, and there has been some exploration of the island with a small house already built on the land. If you can write the check, you can call it home. These islands in the Atlantic may be more in your price range. 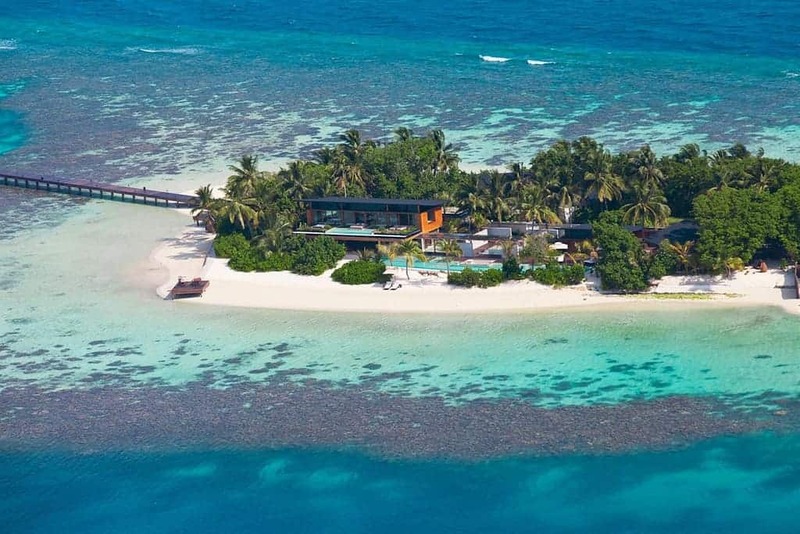 There are islands available for rent for as low as $3,000 a week! Not bad, right? The bungalow on East Sister Rock is an incredible little oasis that sleeps six with internet, laundry, and even pets are welcome! There is 360 degrees of the Atlantic Ocean surrounding this little island and views of Sombrero Lighthouse and beach. The house includes a wrap around deck where you can watch an occasional visiting dolphin or manatee. There is also a moat so you can head out for a kayak ride, spend the afternoon snorkeling or just drop in a line. The “Island of Spice” in the Caribbean Sea has a main body and six smaller islands surrounding it. Among those smaller islands is Calivigny. It is a paradise available for rent for one group of guests at a time allowing up to 50 visitors with accommodations in the two large villas and 3 beach side cottages on the private island. A full 24 hour staff provides all necessary services and a variety of recreational activities are accessible to guests. The resort also has a wide array of activities for visitors including evening bonfires and firework displays as well as a portable large screen theater to watch movies almost any where on the island. This getaway also has jog paths, a beach house game room, tennis courts, and a billiard room. 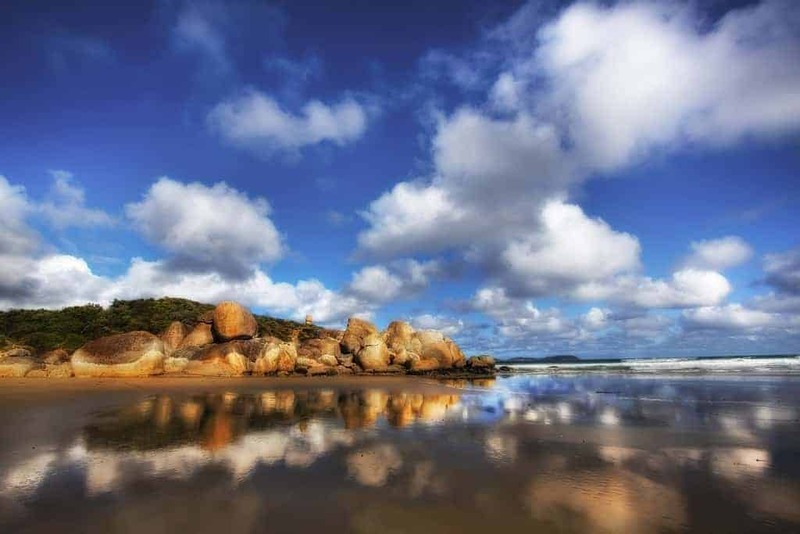 Did you know that Australia consists of over 8,000 islands? On these islands are incredible assortments of wildlife and vegetation. It is the place to be if you like your beach vacation with a side of adventure and exploration. Not everyone wants a fussy luxury resort and for those looking for a more down-to-earth experience Wilson Island is the answer. With areas of protected breeding grounds for multiple species and a part of the Great Barrier Reed this island is an example of the beauty and variety you will see in Australia. Up to twelve guests can stay on the island in deluxe tents and explore the island in its natural state. In addition to the beach side accommodations, guests can go snorkeling and bird watching or take island reef walks. Just southeast of the Bahamas, the Turks and Caicos Islands are the epitome of luxury vacationing. With beautiful beaches, high end shopping, and delicious food, it is no surprise that over 200,000 visitors flock to the islands every year. 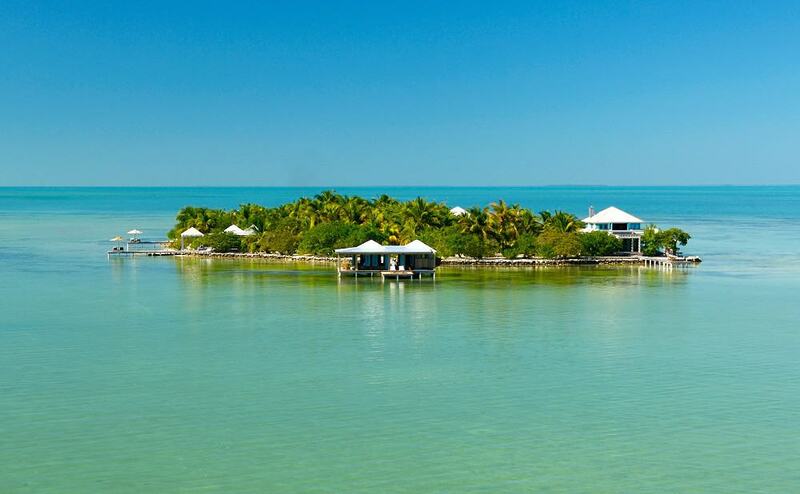 Of the forty islands, Emerald Cay is the ultimate private getaway. There is a newly finished resort which features incredible amenities like adjoining swimming pools and a waterfall, barbecue pavilions (Yeah…Barbecue Pavilions! ), a three story library, and a wine cellar with 6,000 bottles of wine. Emerald Cay is luxury at its finest. Not far from the shores of India and Sri Lanka, the Maldives sit only six feet above sea level in the pristine waters of the Indian Ocean. First settled in the 5th Century B.C. these islands have breathtaking blue lagoons and coral reefs that have long attracted seafaring explorers especially from Sri Lanka and India. The private island of Coco Prive Kuda Hithi is one of the private islands available for a little r & r on 13,000 square feet of paradise. There is room for 12 guests in its exquisite quarters with daily spa treatments or complimentary wind surfing and paddle boarding. The east coast might not be the first thing to spring to mind when you imagine an island getaway, but living on an island next to the most populated city in the United States might have its perks. After all, a short trip would take you to one of the most incredible cities full of people, sights, museums, delicious foods, and history. Then, when you get tired of the fast paced living head home to your own personal island! Right now, Petra Island could be your new home. Surrounded by Lake Mahopac and only an hour from New York City, the 11 acres contain two homes designed by the famous architect Frank Lloyd Wright. It is accessible by boat, and the island has its own helicopter pad (helicopter parking can be such a pain!). This unique real estate is a rare find. 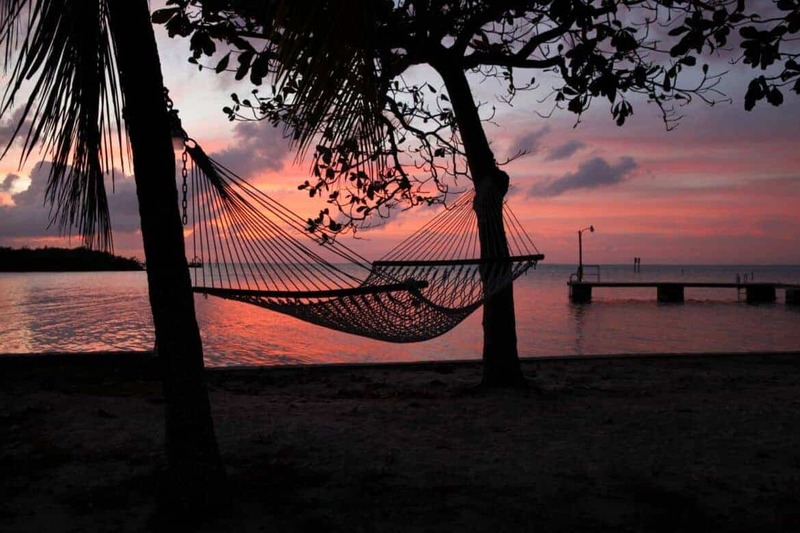 Home to the second longest barrier reef in the world, Belize is home to jungles, rain-forests, Caribbean Pine Forests. Just a quick boat ride from San Pedro, the island of Cayo Espanto is located in the western Caribbean, and it is a private island available for rent. With four acres of white sand paradise and a staff ratio of two to one, you will think you are in heaven. Enjoy the all star treatment and explore the island with world class diving and snorkeling. This post inspired by our addiction to watching AWE Private Islands on Verizon FiOS Channel 169 and 1690 at 12pm EST. Surf and Sunshine is a member of the #LifeonFiOS Blogger program. All opinions remain our own. Maldives and Belize are on top of my list. Would love to visit those places soon. Truly stunning views. If only I could win the lottery! I would totally purchase my own island. These look like amazing places to sit and unwind!